Last weekend I escaped the city for the lovely Nova Scotia countryside where I grew up. 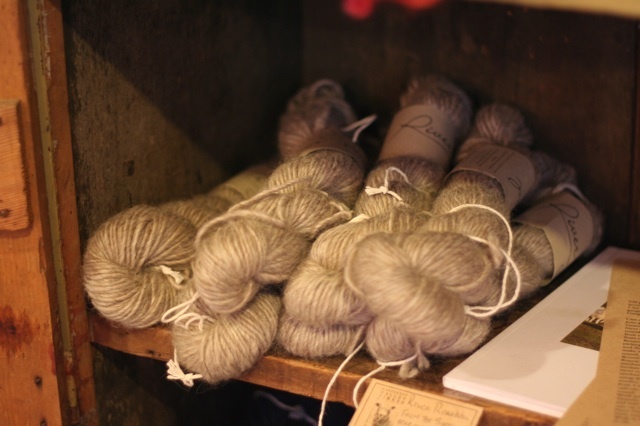 I hadn’t been home home in over a year, so I was really excited already, but when my mum told me about a local wool producer, I’ll admit that added to my excitement. We went on Friday and then, because I didn’t fully consider my purchases, we went back on Saturday so I could pick up some more wool. 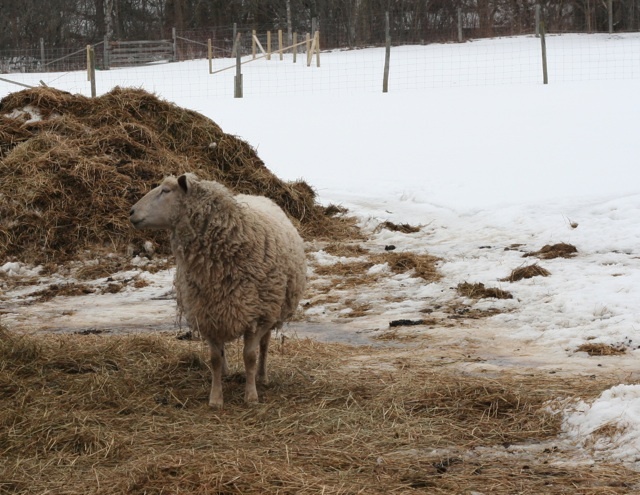 Gaspereau Valley Fibres raises their own Cotswold Sheep, which were once one of the most popular wool sources, but had since been reduced to a rare breed. 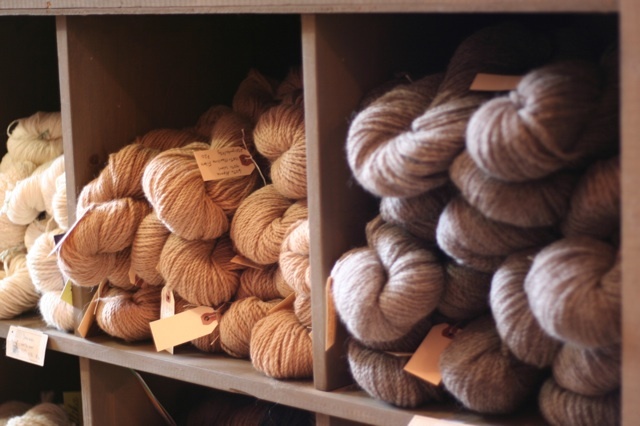 Cotswold wool is recommended for outerwear, and Gaspereau Valley Fibres offers complimentary patterns with each skein, which come in both natural colours and hand-dyed. 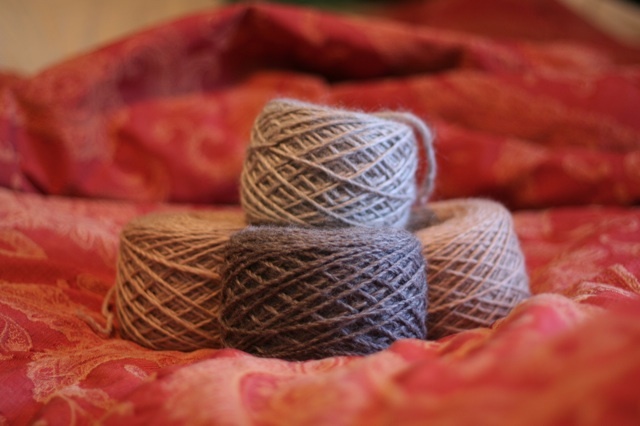 Natural skeins of Cotswold wool. 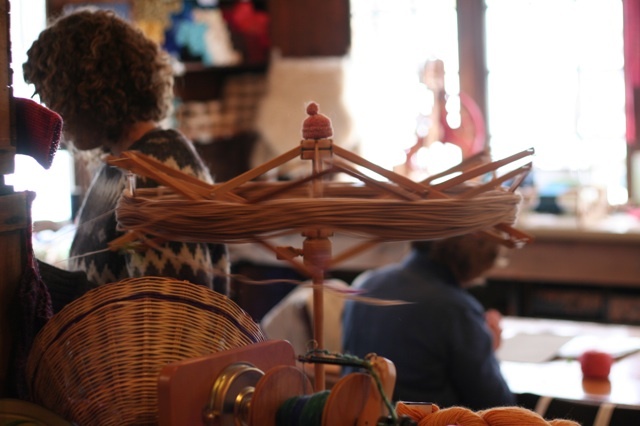 The shop is gorgeous – it’s in a converted barn, but has retained all its original post and beam construction, and is headed by a wood stove – and carries a huge selection of fibre. 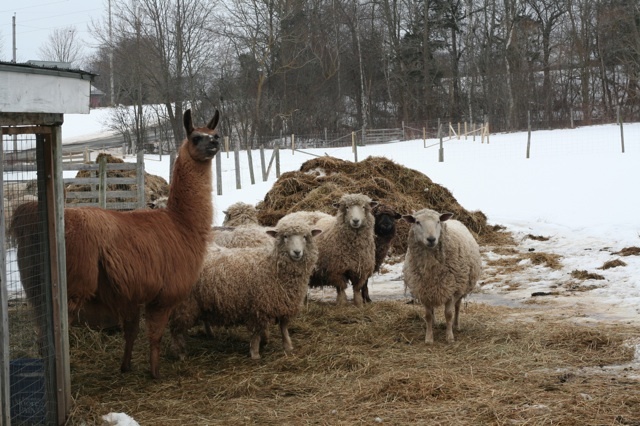 In addition to their own wool, the also carry skeins of 100% Maritime Wool made from 60% New Brunswick alpaca and 40% Nova Scotia Corriedale wool. It is gorgeous and soft enjoyably squooshy and I bought three 250-yard skeins, although I’m not entirely sure what I’m going to do with it yet. It’s also sold in natural colours, which are what I tend to gravitate toward anyhow. All in all it was a great haul from a gorgeous shop. If you find yourself in Nova Scotia, I would definitely recommend stopping by. A flock of Cotswolds, plus one alpaca, all very curious about what I'm up to.